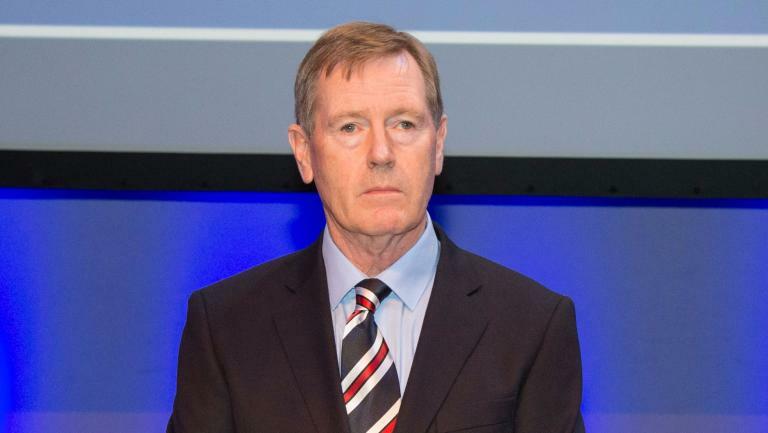 Despite the news circulating widely for a few days or so now, nevertheless a number of fans may be unaware tomorrow Rangers chairman Dave King has called a press conference before departing Scotland for South Africa again. As yet the schedule of the conference is unknown, but what we do know is the speculated topics the Rangers chief is said to be covering. The most popular theory is a share issue, given King alluded to it during the Gerrard unveil, but we’re not 100% convinced that’s the topic. Another is a new investment deal, said to be with a drinks company – they are claimed to have sought Rangers out and approached with regards to some kind of partnership, but we have little more on this one. And lastly is the investment theory borne from the resignations of directors Paul Murray and Barry Scott – the idea is some big capital is on its way by way of one or two new men on the board with financial backing. Truth is, no one knows – a few conspiracy theories think King is himself going to make way for someone else but that’s far-fetched after the triumphant weekend he’s had. Either way, we’ll find out tomorrow. It All sounds rather intriguing eh ? I'm hoping that lots of decent 'deals' can be reached with the players who are simply not good enough, yet were Allowed to join our Club on real good contracts and them earning real good money. King stepping down. He can't get money out of S Africa, so he will be cold-shouldered which in turn will stop any reasonable company investing. Could be bigbaws and then some one with big bucks moves in and then SG can get this show on the road. Wild speculation here. But if its good news why would he jumping on plane straight after. Questions why two board members resigned day before feel good day ought to be asked to clarify, especially since one is a chartered accountant who loves Rangers with extreme passion. And had been the messenger of most of Kings cheerleading stunts previously. Is it possible that an interdict will be placed on Kings contempt of court order? Where is the money Mr King was once the cry. Bought his shares when club was at lowest ever share price. Stands accused of manipulation of said share price to get best bargain possible. Took club off the stock exchange and is now allegedly blacklisted. Every promise he made is shrouded in smoke and mirrors. Never held to account by investigative journalism. Never has a straight answer. Could be a master of the moonbeam theory of economics. Never bought clubs assets when they were available at bargain basement prices. Hoped club wouldn't get a CVA. His one time allies Gilligan and now Murray have bailed out of ship day before Gerrard announcement. No mention of real investment. But share issue meant to be covering the large directors loans to convert them to equity. No media pressed him on this issue? Fans may well have been blind sighted yet again. Close brothers loan needs repaid asap. The wage bill is very high currently. Maybe too high with lot of dead weight? The season book money is needed more urgently than previous seasons. 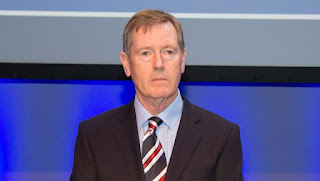 Hopefully King announces something for the Rangers support to believe in him again. Gerrard could be best thing that Rangers have had for years. But financially moonbeam theory of economics using sophistry and double talk is useless. Still no certainty club hasn't broken FFP regulations. Still no certainty that club isn't operating insolvently. Still no transparency accountability or sustainability in sight. Perhaps a mega wealthy non criminal is about to invest billions in club? I suspect King may be resigning due to ill health, passing buck to Park, and getting out of dodge before the special branch come knocking. But hey thats wild speculation on my part. lets hope its major positive announmnet about massive investment from somewhere nice.